We create temporary exposure for your brand’s key messaging by taking your message into high-density crowds, or high traffic locations. Whether it’s bike billboards, transit ads, billboards or brand ambassadors, we will take your message outdoors so that you can get noticed. If you’re after localised marketing, you’re in the right place. At Tailored Outdoor Media we are all about pushing boundaries. 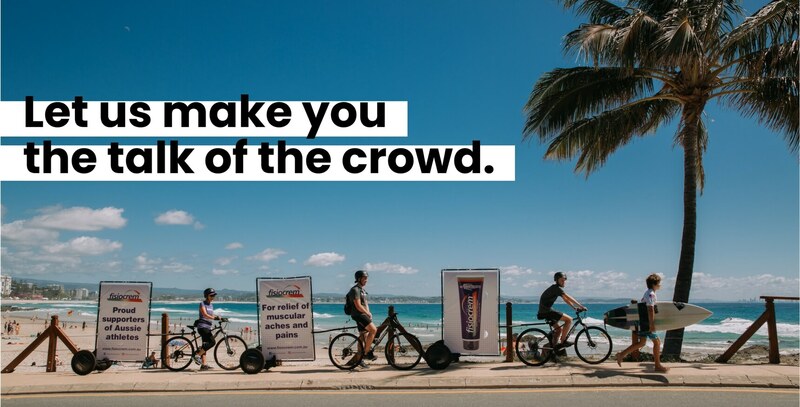 Our experience in marketing has taught us that if you want your message to be noticed you need to stand out in the crowd. So that’s what we’re here to do for you. Tailored Outdoor Media allows your brand to be seen and heard in a personal, localised manner. Let us make you the talk of the crowd. Contact us for more information on our mobile billboards Gold Coast and beyond.